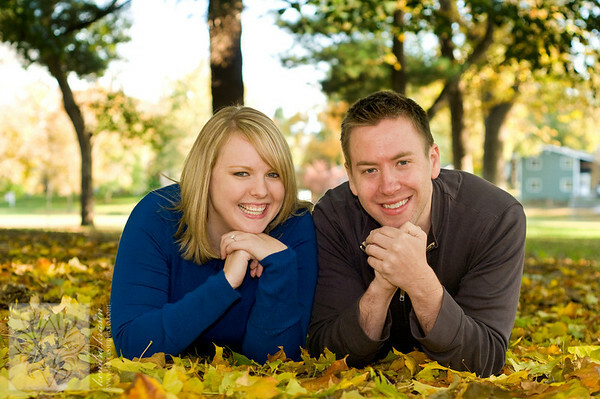 In mid-October, I took engagement portraits for an old high school friend and her fiancé. Katie and Derek were so much fun to spend the afternoon with. We started out with a "new" place in River Falls - on the university campus. After campus, we headed to the park where we had some fun in the leaves and on the swings. 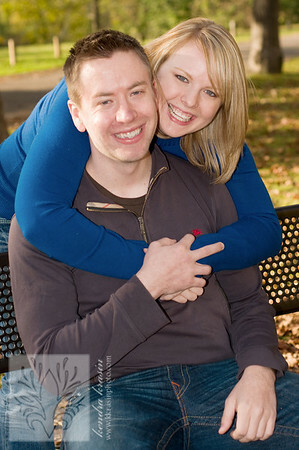 Derek and Katie are getting married in May... and I can't wait to have the opportunity to help preserve their memories!